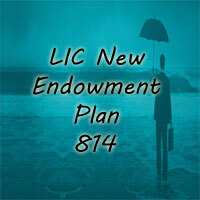 LIC Limited Premium Endowment Plan 830 is a limited premium paying plan with profits. It is a non-linked plan with UIN (Unique Identification Number) 512N293V01 and offers a combination of protection and savings. In the case of unfortunate death of the life assured any time before maturity, LIC Limited Premium Endowment Assurance Plan provides financial support for the family. In the case of survival of the policyholder this plan provides the lump sum amount at the time of maturity. Where ‘Sum Assured on Death’ is defined as the higher of 10 times of annualized premium or 125% of Basic Sum Assured. This benefit shall not be less than 105% of total premiums paid as on date of death. Where all these premiums exclude extra premium, service tax and rider premiums, if any. LIC Limited Premium Endowment Policy (Plan 830) offers a combination of protection and savings. It provides optional benefits namely LIC Accidental Death and Disability Benefit Rider and LIC New Term Assurance Rider. Surrender Value: You can surrender the LIC Limited Premium Plan 830 at any time during the policy period, provided at least 2 full years premiums have been paid. Loan: After paying the premium for 2 full years, a policyholder can avail the Loan Facility under this plan. The Eligibility Conditions for LIC Limited Premium Endowment Plan are as follows. Note: The Basic SA (Sum Assured) shall be in multiples of Rs. 10,000/-. The Entry Age for the policyholder taken as age nearest birthday except for the minimum entry age (18 Years). LIC Accidental Death and Disability Benefit Rider. With the payment of additional premium, you can get the optional rider under LIC Limited Premium Policy namely LIC Accidental Death and Disability Benefit Rider. Within the premium paying term you can opt this at any time provided the outstanding PPT is at least 5 years. Maximum Accident Benefit Sum Assured An amount equal to the Sum Assured under the Basic Plan subject to the maximum of Rs. 100 lakh overall limit taking all existing policies. Note: The Accident Benefit SA (Sum Assured) shall be in multiples of Rs. 10,000 only. On payment of additional premium, the LIC New Term Assurance Rider is available at the inception of the policy. If you have opted for this rider, then you need to pay the additional premium during the premium paying term of the policy along with the premium for the basic plan and any rider (if opted for). On the death of the policyholder during the policy term, an additional amount equal to Term Assurance Rider Sum Assured is payable along with the death benefit, provided the rider (optional benefit) is in force at the time of the accident. If there are more than one policy and if the Term Assurance Rider SA (Sum Assured) exceeds total Rs. 25 Lakhs, then the benefits shall apply to the first 25 Lakhs Term Assurance Rider SA in order of date of policies issued. Maximum Term Assurance Rider Sum Assured Less than or equal to Basic SA, but not exceeding the overall limit of Rs. 25 Lakhs. Note: The Term Assurance Rider SA (Sum Assured) shall be in multiples of Rs. 10,000 only. Limited Premium LIC Plan completed under CEIS (Corporations Employee Insurance Scheme) will be eligible for this CEIS Rebate of 10 percent of a tabular premium for Basic Plan as well as AD&DB (Additional Death and Disability Benefit) Rider Premium and Term Assurance Rider Premium, if opted for. With the help of LIC Limited Premium Calculator, you can easily calculate the Premium Amount, Maturity Benefit, Death Benefit, Riders, Loan and other factors of LIC Limited Premium Endowment Plan 830. To calculate the premium amount, maturity, etc. you need to enter some values such as Policy period, Sum assured, and Age in the LIC Limited Premium Endowment Plan Calculator. Paid-up Value: If you have paid at least 2 full years premium and any subsequent premiums have not been duly paid, then this policy shall not be wholly void, but shall subsist as a Paid-up policy. Suicide Clause: If the life insured commits suicide at any time within 12 months from the commencement of risk, then the company will not allow any claim under this LIC Limited Premium Endowment Plan. Instead, he/she will be returned back with 80% of premiums he paid excluding any taxes and extra premium if any. Policy Stamping: Policy Stamping Charges = 20 paise per 1000 of Basic Sum Assured under this LIC Limited Premium Endowment Plan. Proposal Form: Proposal Form Number 300 may be used under this LIC Limited Premium Endowment Plan, which is subject to change.